The Duet is perfect for hospital crash carts, patient transport, surgi-center backup, long term care facilities and more. 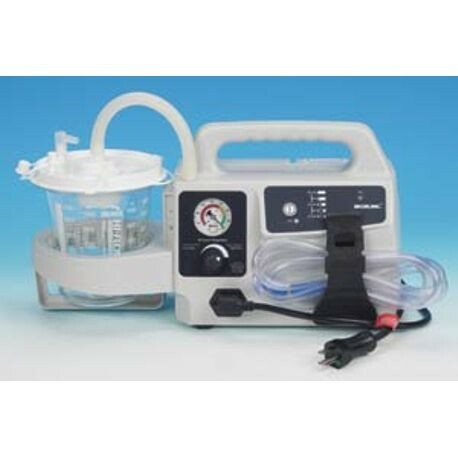 An AC suction unit with battery back-up, the Duet provides instant, powerful suction whether or not AC power is available. Built-in charger maintains battery and will not overcharge. Keep it plugged in at all times for maximum battery health. 3 year battery replacement policy for properly cared for devices! 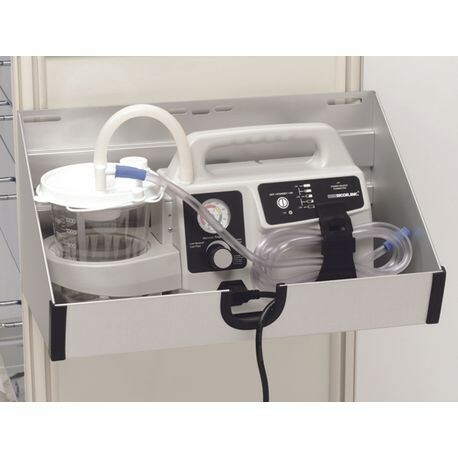 When fully charged, the sealed lead acid battery provides 45 minutes +/- 10% of suctioning power, giving you the suction you need for emergency care procedures. Pump Airflow: Approximately 50 lpm. Clinical Airflow: 30+ lpm (achieved at tip of patient tubing). Size: 17"L x 9"H x 6"W; weighs 10.5 lbs. Battery Type: Sealed lead acid. 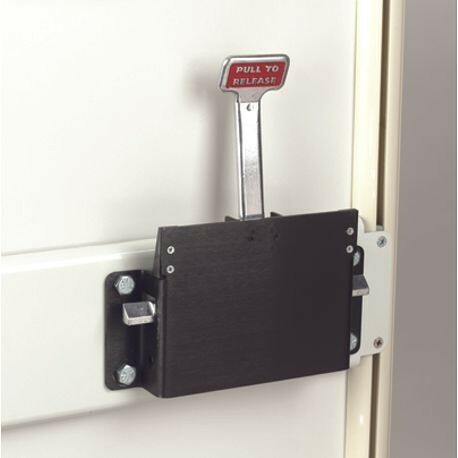 Flat back unit sits conveniently on a cart or shelf. 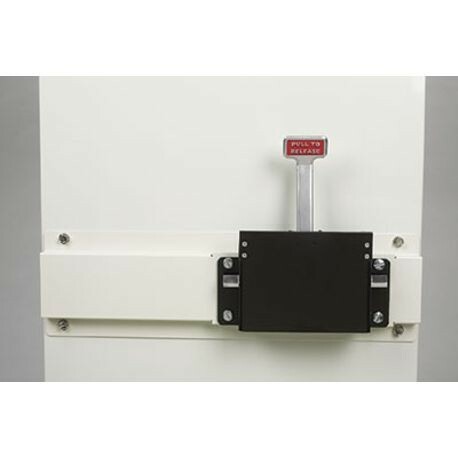 Bracket back unit will attach to the side of the cart or to a wall saving valuable shelf and cart top space. 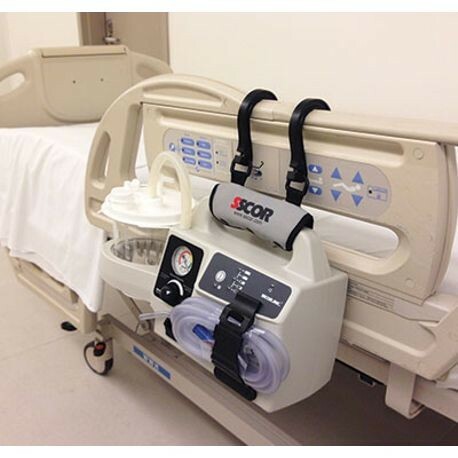 The SSCOR® Transporter allows the DUET to hang on the side of virtually all hospital beds, gurneys, and cardiac walkers. 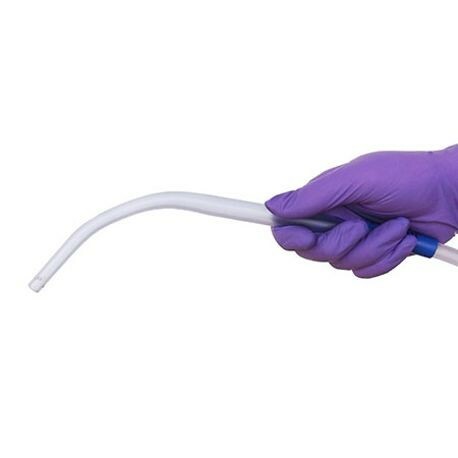 A catheter designed for use during routine and emergency airway management. Uniquely suited for the SALAD technique. The SSCOR DuCanto Catheter is a new catheter that is unlike traditional Yankauer suction tips that are designed for controlled surgical settings. The SSCOR DuCanto Catheter was developed with both routine and emergency airway management in mind. It has a larger internal diameter making it significantly less likely to clog and is shaped to fit the oropharyngeal anatomy. The hyper curved catheter is shaped more like a patient's airway making it easy to position the catheter and work with other complementary devices used to clear a patient's airway. Additionally, the SSCOR DuCanto Catheter does not have a thumb port. By removing the vacuum control, the caregiver does not need to locate and keep their thumb correctly positioned over the thumb port to clear a patient’s airway and allows for continuous suction once connected to the suction source. All of these features enable the SSCOR DuCanto Catheter to be used effectively in the SALAD technique. via either direct or video laryngoscopy. The SSCOR DuCanto Catheter is ideal for this procedure. Patient Connecting Tubing, 6 ft.